I started to read up on juicing, including Eric Helms’ new book The Juice Generation (with a foreword by Salma Hayek), talking about it with friends who love it and learned the difference between juicing and smoothies. 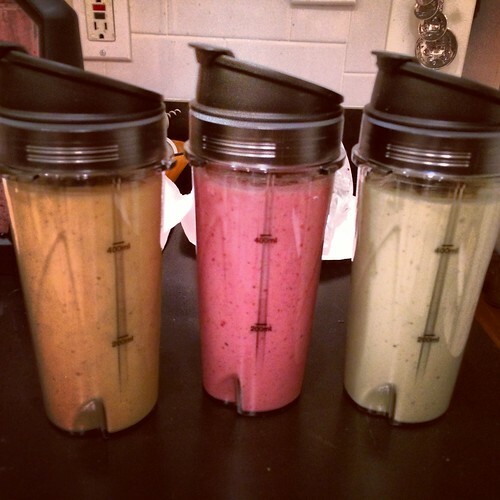 It turns out what I made originally are smoothies–recipes I’ll be sharing with you soon–and I like those, too. To get started, read my Juicing 101 guide. I’ll definitely be doing a lot more of it this year! Have you ever tried making your own juices or smoothies? This entry was posted in Breakfast, Drinks & Cocktails, Gluten-Free, Shakes and tagged breakfast, drinks, juicing, smoothies by Irina Gonzalez. Bookmark the permalink.